Haruki Ishikawa is a Plant Physiologist. He is based in IITA Ibadan, Nigeria. Previously, he was a cowpea agronomist in the project AVEC-BF that aims to develop a new scheme for cowpea diffusion. He had been promoting the project since 2010. Before joining IITA, he was a researcher at the Institute of Physical and Chemical Research (RIKEN), and acted as the assistant of the Ishinomaki Senshu University. 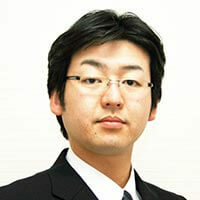 Dr. Haruki is an expert at imaging and optical measurements of plants. He developed a new measurement technique of NMR imaging in the RIKEN frontier research center and had applied for patent acquisition. In addition, he developed a new optical measurement device for leaves in Ishinomaki Senshu University. He contributes to the study of cowpea in Africa using the ability to create something new despite a shortage in the commodity.